Win An Alta CA 233 AGH Tripod And Quovio 41 Bag - Last Chance! 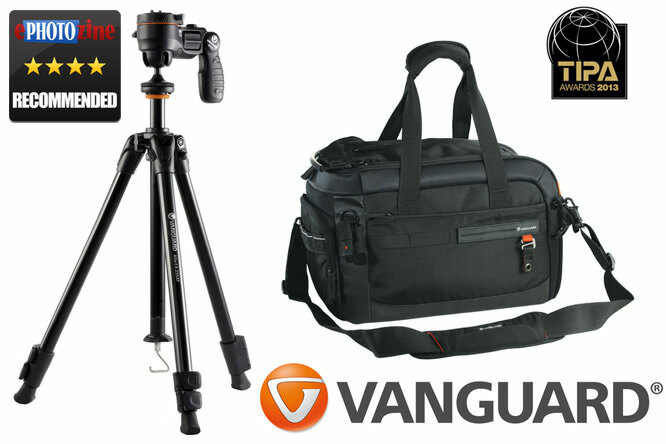 This month you can win a Vanguard Quovio 41 bag and Alta CA 233 AGH tripod! This month, you can win a Vanguard Alta CA 233 AGH Tripod and a Quovio41 bag courtesy of Vanguard in our 'Blur' competition! It's your last chance to enter this weekend as the competition closes on 31 August at midnight. To be in with a chance of winning, we want to see your best images with a theme of 'Blur'. As the Vanguard Alta CA 233 AGH tripod creates a stable base for longer shutter speed work, we want to see how you've used 'Blur' creatively in your images, whether it's to make silky smooth water, or capture fast moving objects while panning. Use blur to create a sense of movement, or create a sense of tranquility and stillness, it's completely up to you. Get creative and show us how you've used 'Blur' in your images! 2 images are allowed per person, and the competition closes at midnight on 31 August 2014. For more information and to enter now, take a look at the competition page. As well as Vanguard kit, ePHOTOzine also has Lenspen SensorKlear Loupe Kits up for grabs. To be in with a chance of winning, simply post an image that matches the day's theme into the Photo Month forum.